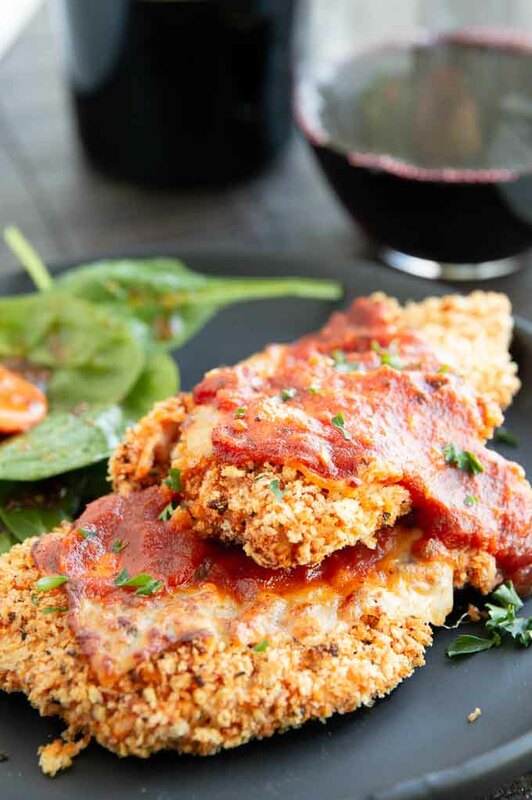 Air Fryer Chicken Parm is an ideal healthy weeknight dinner. 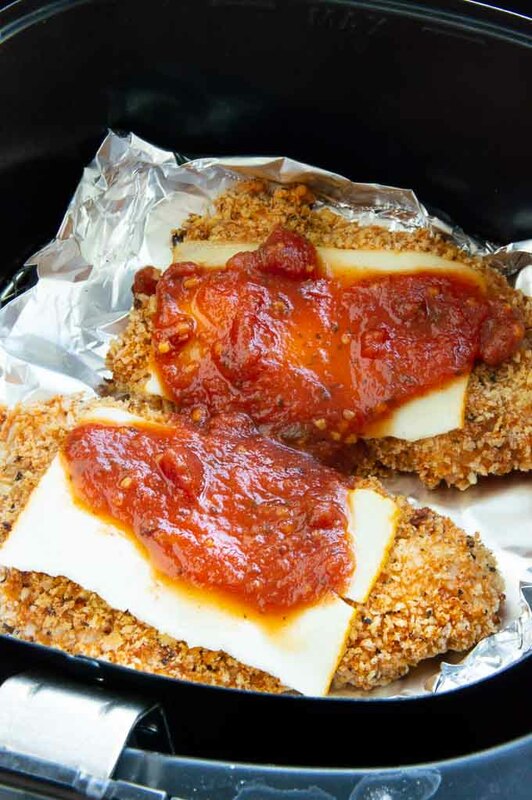 The juicy chicken has a crispy panko coating then smothered with melty cheese and a simple tomato sauce. 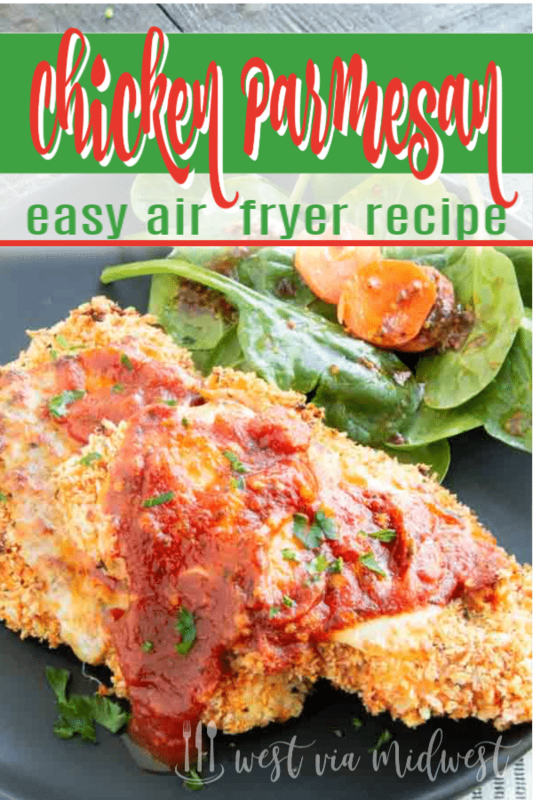 Air Fryer Chicken Parmesan is another recipe for your air fryer that I know you will love. I’d had such success with the air fryer chicken wings I thought I’d better try fried chicken and it kind of morphed into chicken parmesan. If you’re new to air fryer cooking let me give you the run down on all of the reasons why I love mine and why I know you will love cooking with an air fryer! An air fryer is really not an “fryer” at all. It is really a convection oven that swirls hot air around all sides of your food cooking it. Most recipes use little or no oil at all in them so the food you make in them are healthier if only because you don’t have all the fat and grease from the oil. There are many great air fryers on the market but I currently use this Phillips Air Fryer. They sell them in many stores and on Amazon. Costco has other brands such as Gormia that also work well. 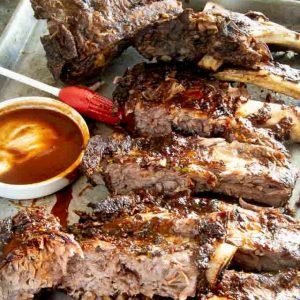 Why do you need an Air Fryer? Every air fryer I have used is easily scrubbed with a sponge then disassembled and placed in the dishwasher. Most of the time I don’t even have to wipe them out, but there is a rack that I like to scrub down so it doesnt get clogged up. Don’t have a dishwasher? Clean your air fryer using hot soapy water and a sponge. Let it soak for 5 minutes then everything easily wiped away. Air Frying really isn’t frying so your meals use a lot less oil which leads to a lot less fat and calories. There are times I might spritz on a little olive oil to get a darker color, but that is still less than deep fried foods! Using my air fryer means we don’t wake up the next morning smelling the lingering grease smell. You smell the aroma of good chicken and maybe some melting cheese but no grease at all! Most of the cooking I do in the air fryer is generally faster than if I used an oven or fried it on the stove top. Especially when you include the time it takes to preheat the oven. Even if it takes a little longer if I have to cook in batches I really appreciate that an airfryer does not heat up my house like an oven or a hot skillet of grease. It gets hot where we are in the summer so I don’t even like to use an oven because it heats up the house. With the air fryer it doesn’t even warm up right next to the appliance so its really nice! 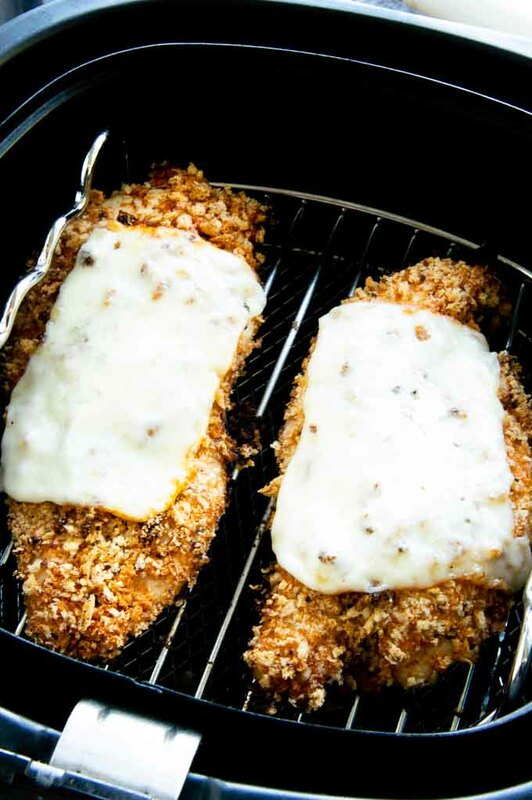 Air fryer chicken breast is juicy on the inside and cooked first to get the panko extra crispy. When it’s almost done you come back and put the mozzarella cheese and the marinara sauce on at the last minute to melt the cheese and warm the sauce. It’s super easy and it’s perfect for a weeknight dinner with your family or for serving as a gourmet comfort food meal for company! Start by pounding the chicken to equal thickness (I suggest 1/2″.) This makes it so that the breast cooks evenly so every bite is juicy and delicious. 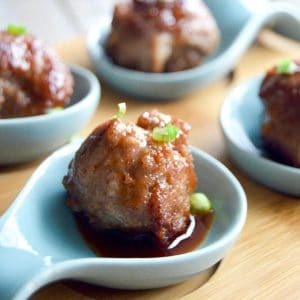 If you have areas that are different thicknesses you will have some bites that will be dry and some nice and juicy. Use a flavorful breadcrumb mixture. I highly recommend using panko bread crumbs instead of bread crumbs because it gets extra crispy. 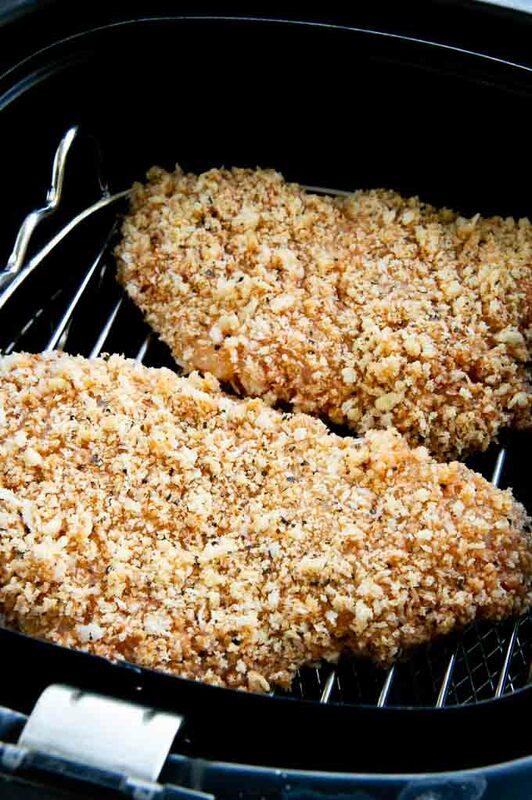 Breaded chicken (in this case panko coating) needs something to make it stick to the chicken. Since chicken parm uses sauce and cheese on the top I dip the chicken pieces into a small amount of marinara for the panko to stick to. Cook in stages. Cook the chicken in the airfryer with the bread coating in the air fryer basket first. This allows the coating to get extra crispy. Once the chicken is almost done, you an add the cheese to melt it for a few minutes, then finally place the marinara over the top to heat it! I suggest my homemade marinara sauce but if you are short for time or have a favorite use your favorite store bought sauce! I would love to serve a gluten free topping is panko gluten free? 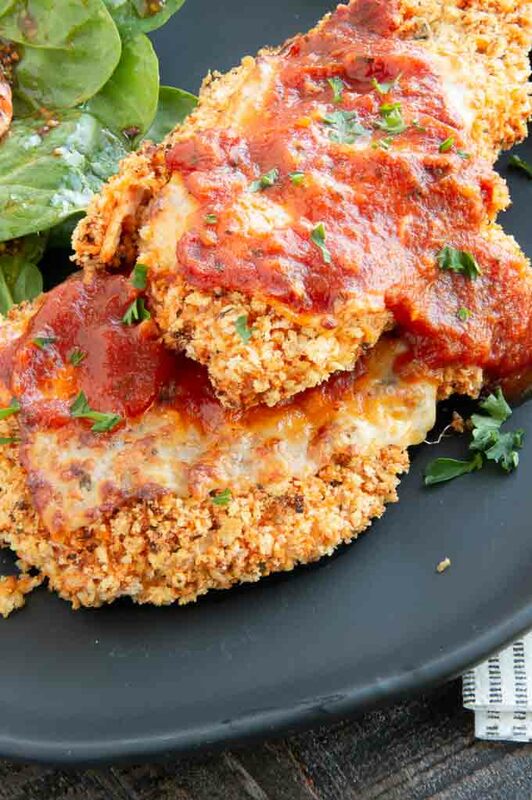 Gluten Free Chicken Parmesan is possible but you’ll need to substitute pork rind bread crumbs instead. It’s a little different than bread crumbs but it is really tasty! 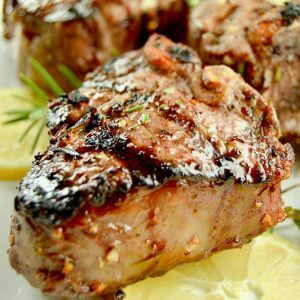 I don’t have an air fryer can I still use this recipe? Yes! 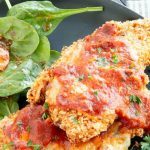 You can follow the cooking instructions for the chicken on this Panko Chicken (just substitute the marinara for the dressing). In the last 10 mins of cooking add the cheese and marinara over the chicken! I don’t like mozzarella cheese what kind of cheese can I use on chicken parm? Any melty cheese like Swiss, gouda or Monterey Jack will work just as well! I”ll be sharing a lot more air fryer chicken recipes in the coming months if there is one you’re interested in be sure and drop me an email or comment below!! Cut or pound the chicken breasts to be about 1/2" thick. 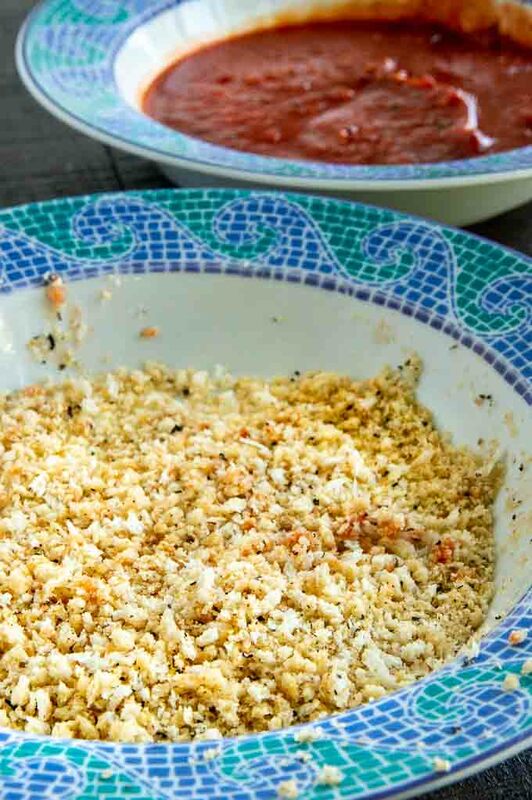 Create a dipping station with one bowl with the panko bread crumbs and parmesan cheese in it, a second bowl with 1/4 cup of marinara sauce in it and a plate of chicken breasts. Using a brush, brush a small amount of marinara sauce onto all sides of the chicken breast, then drudge it so that all sides are covered in the panko mixture. Continue until all breasts are coated. Spray the rack with olive oil to prevent sticking. Place 2-3 chicken breasts onto rack. Once air fryer is hot, place rack into the air fryer and cook for 10-12 minutes. While chicken is cooking make a foil tray to fit the size of the rack. Open air fryer, remove chicken from rack and place on foil tray. Place one slice of cheese on top of each breast. Then place foil tray back into the air fryer and cook for 3-4 minutes. Then add marinara sauce and cook an additional 2-3 minutes. 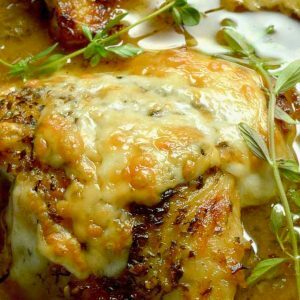 If your chicken breasts are thicker, they will take longer to cook. I always cut into mine to make sure they are cooked through! Repeat the cooking until all breasts are done. Thanks. This is so tasty, it’s hard to believe it’s that easy to make.